FAIRBANKS, Alaska (AP) — An Alaska company that started out as just a heater reconditioning company has grown in nearly two decades to be a crucial provider of oil field, construction and mining equipment for cold-weather climates. Fairbanks-based Equipment Source Inc. began in 2000 catering to oil field companies working on the North Slope, the Fairbanks Daily News-Miner reported. Then store creators Terry Warnath and his nephew, Josh Parks, developed their own industrial heater, the ES700. The indirect-fired air heater excelled at providing long-term, reliable and continuous service in the most severe weather conditions. Warnath and Parks soon were competing against the very companies they previously had serviced. Local businessman Tim Cerny slowly bought into the company and is now the sole owner, but Parks stayed on as the manufacturing manager. Equipment Source uses Kubota engines, Mecc Alte generator ends and other purchased parts and pieces to build its equipment. “But as far as the frame and the shell and the metal structure, we're truly building that from the ground up here,” store manager Nick Ferree said. “It's very fun, and not very common in Alaska, and especially not in Fairbanks. It's not the most economical place to do stuff like that,” Ferree said. Equipment Source has diversified over the years, and now builds heaters, generators, water pumps, portable emergency shower units, tractor-truck auxiliary power units, water houses, ground-thawing equipment, diesel fuel tanks and “a lot of miscellaneous equipment for North Slope construction fields,” Ferree said. “The majority of our equipment is oriented toward the North Slope and Arctic oil exploration, but there are lots of different applications,” he said. Because Alaska can get surprisingly hot in the summer, the company also tests its equipment at temperatures as high as 90 degrees inside a heated greenhouse. 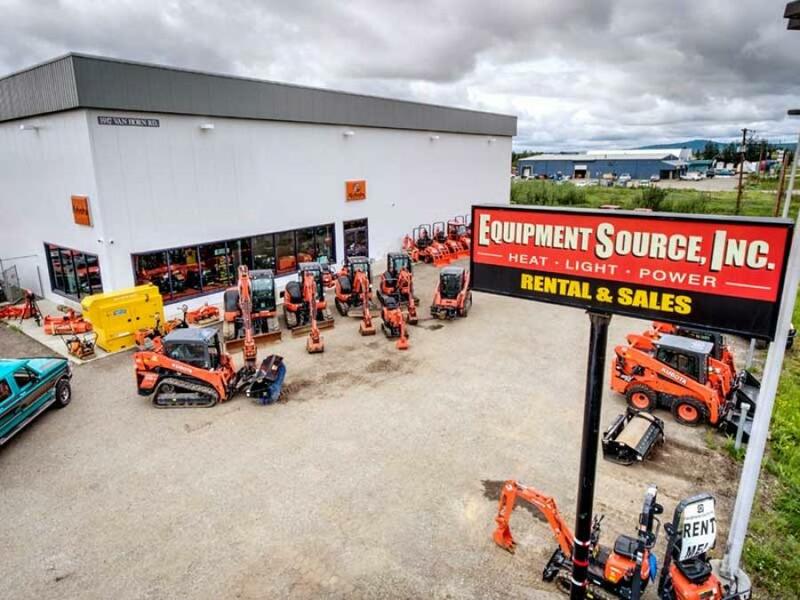 Equipment Source has a rental and service store in Anchorage and an engineering and assembly facility in Renton, Wash. A storefront in Williston, N.D., supplies equipment for companies working the Bakken oil formation there, as well as the tar sands in Canada. The company also supplies equipment to oil fields on Sakhalin Island in Russia, but has yet to break into the growing Northern European market. Equipment Source employs 15-20 people at its headquarters in Fairbanks. For more information, visit newsminer.com and equipmentsourceinc.com/.